OverRide. 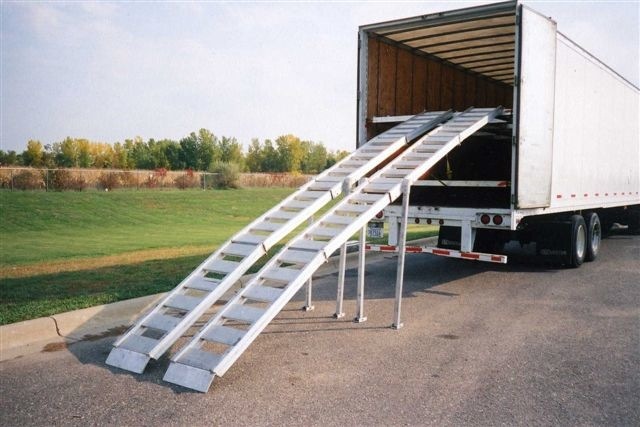 Invented by Overbye Transport. 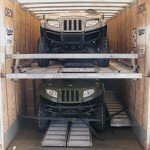 Customized to Your Shipping Needs. 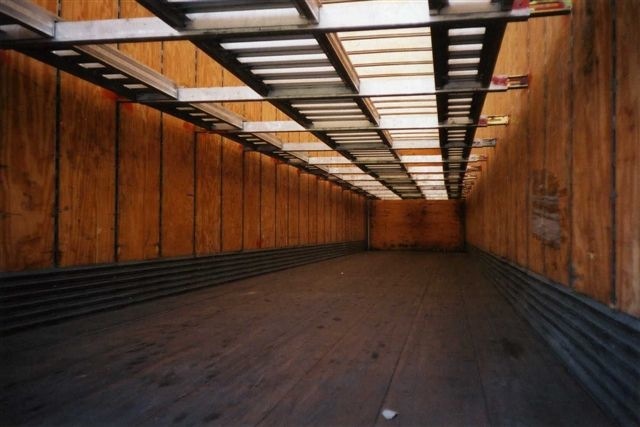 If you ship rolling stock or non stackable freight, our patented OverRide decking system will help you increase your full-truckload freight capacities – as much as 100%! 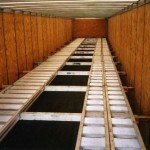 These cost savings will go right to your bottom line. 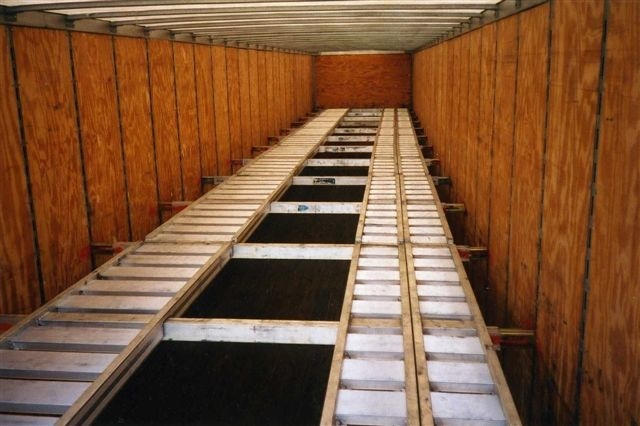 Overbye Transport rolling stock customers who take advantage of our OverRide decking system realize big savings in packaging materials as well as in the labor costs associated with crating, packaging, and uncrating. 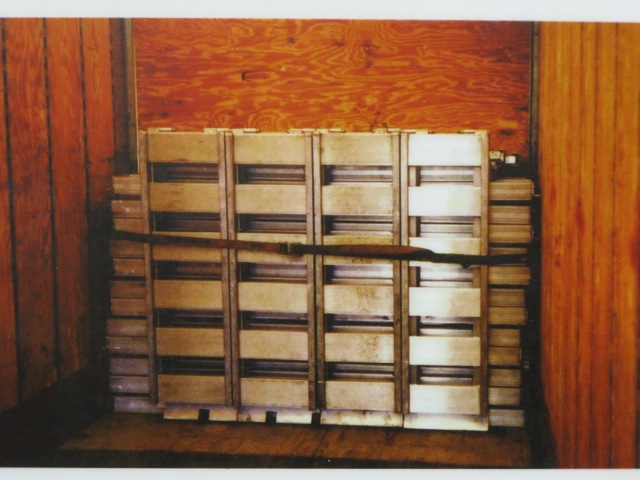 Many of our customers who ship non stackable freight also benefit, since their packaging and palletizing does not have to be as robust. 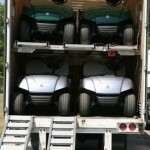 Left: side-by-side ATVs, 10 per trailer. 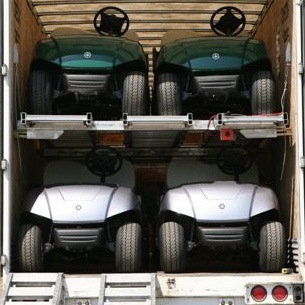 Right: golf carts, 24 per trailer. 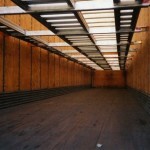 Below: Floor and upper deck of an Overbye Transport OverRide trailer. 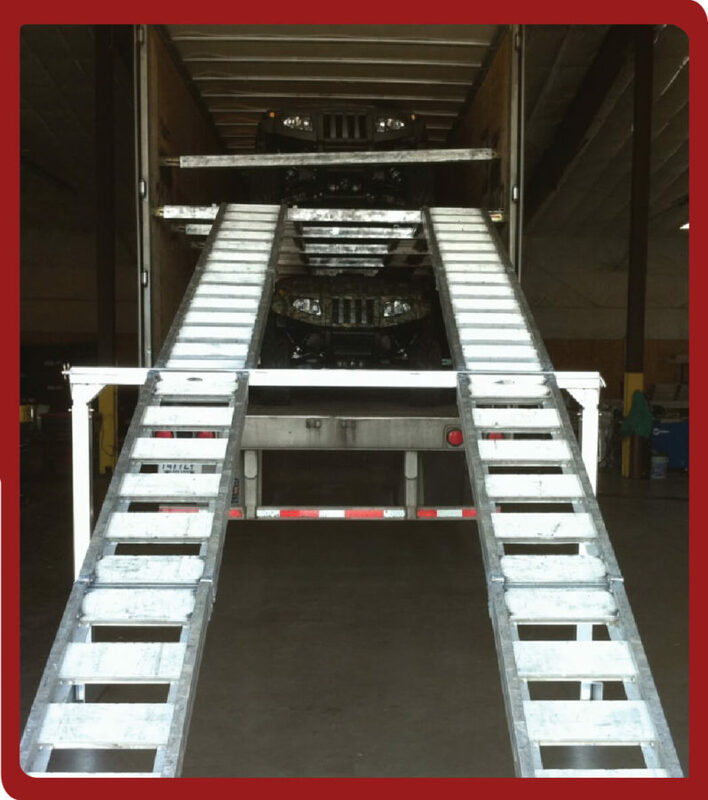 For rolling stock, OverRide decking adjusts to fit any wheel stance. 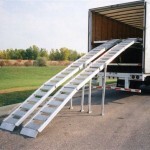 Our trained drivers will adapt the system to your needs on the spot and get your freight on the road quickly. 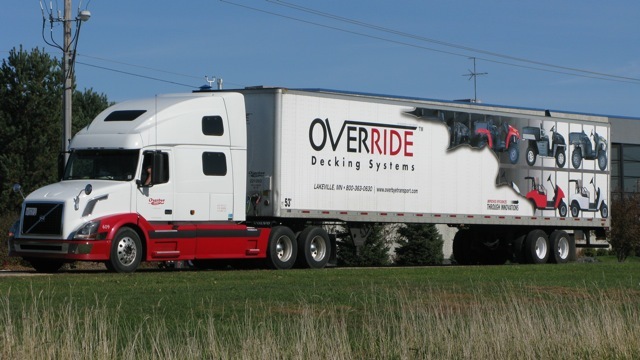 For non stackable freight, OverRide’s decking can be configured to handle just about any product combinations. 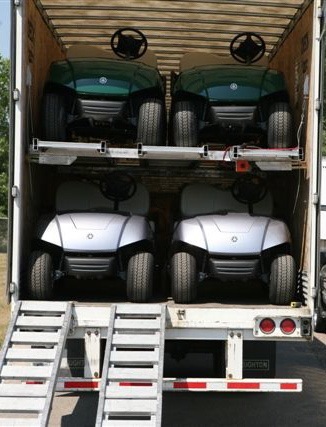 When not in use the OverRide system stores neatly and compactly in the front of the trailer so as to occupy only minimal space. 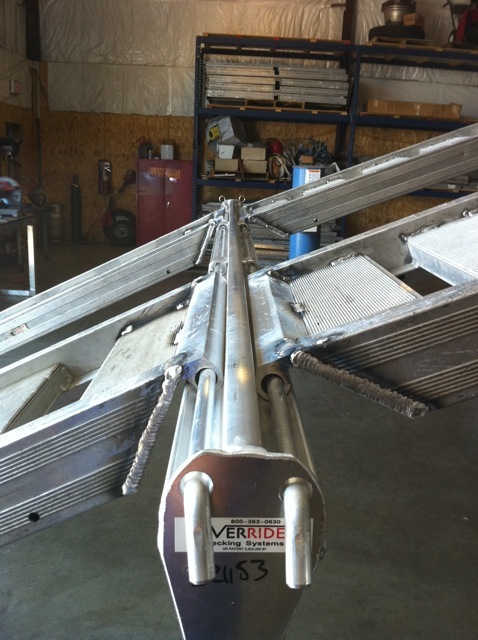 OverRide has been designed to be safe and secure, thanks to its sturdy, interlocking decking modules. 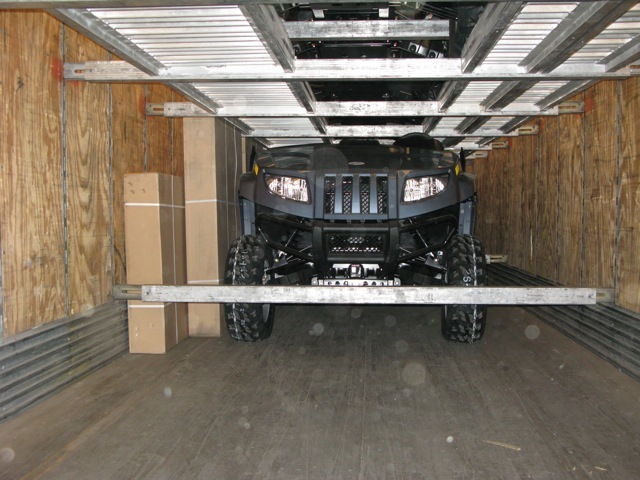 Your goods arrive in perfect condition, ready to be quickly unloaded at your destination. At Overbye Transport, we’re concerned about the environment. We employ many “green” practices on the road as well as in our office. 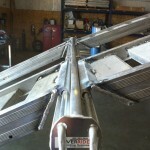 Our OverRide decking system is yet another sustainable initiative. 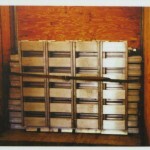 Our decking is made of recyclable aluminum. 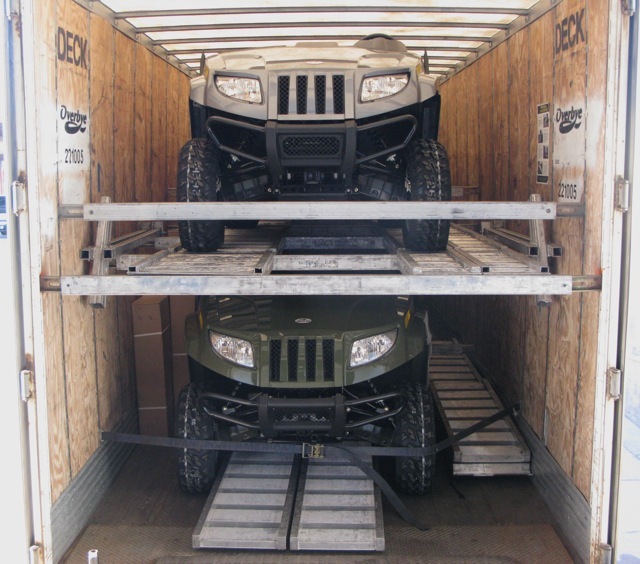 OverRide allows us to haul more goods in one truckload. Plus, our decking systems offer an alternative to the creation of – and disposal of – commercial packaging and waste materials. 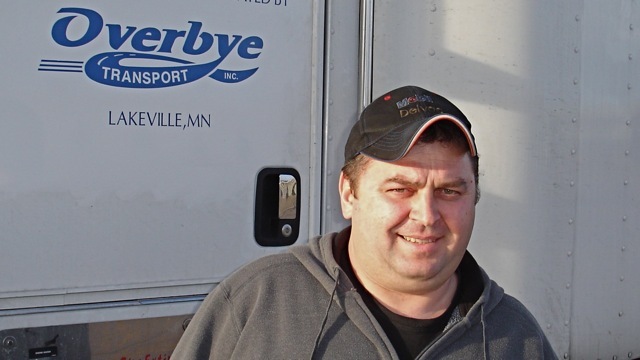 Owner operators: Full truckloads, plenty of hauls, and our OverRide system are just a few good reasons to contract with Overbye. 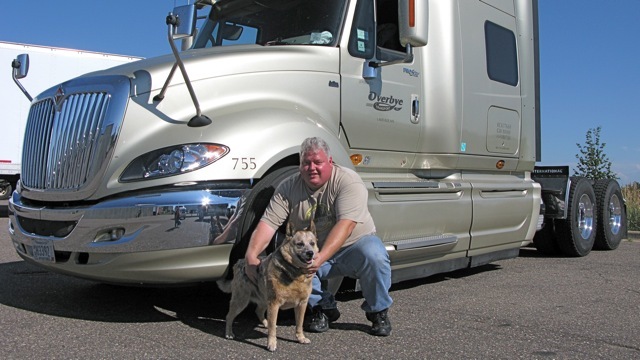 Read what our owner operators have to say about us, including our “light loads”. 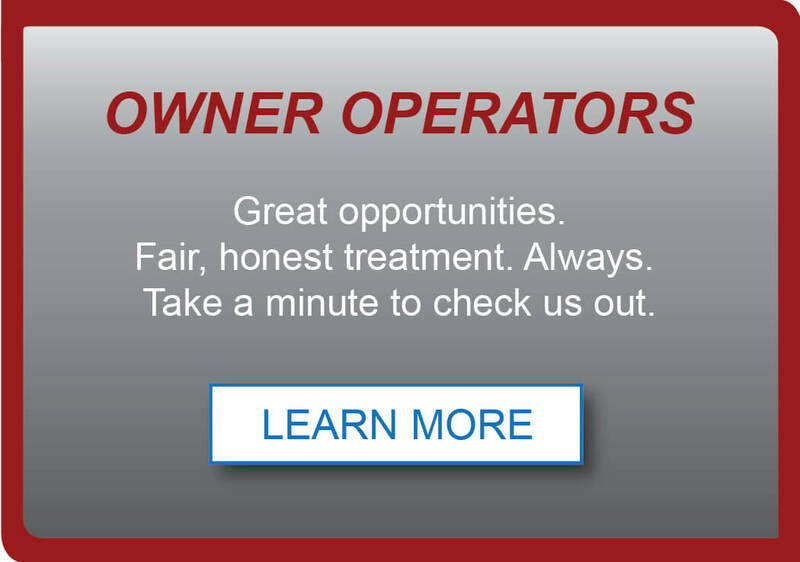 Don’t delay … call Ryan Overbye today at 1-800-514-1821 or complete our E-Z form to get started on a great owner operator opportunity!